Hello everyone, short while after I wrote article Add custom attribute to Magento’s PDF invoice I received quite a number of requests for explanation on how to add products images to PDF invoice. As I had some time, I’ve created an extension that will do just that. So, this extension is based on old one with custom attribute. 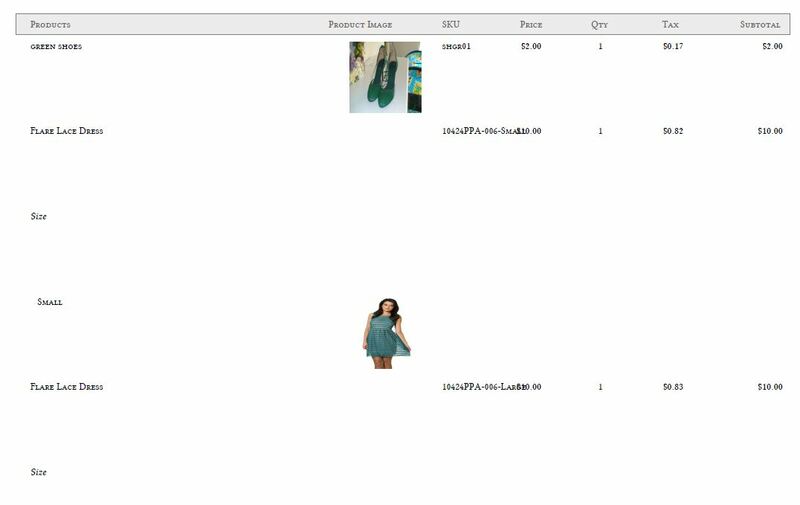 It’s tested on Magento Professional 1.9, and will show thumbnails of product images (if those images exist, and Magento can read them) together with products on invoice. After you’ve seen it and that’s what you require, you can download it here. Installation process comes down to extraction of files / directories over your “app” directory. It won’t work with “custom attribute” extension I wrote earlier. As always, please make backup before installation, as this is provided for usage at your own risk. This extension was working perfectly for me till i implemented CDN. 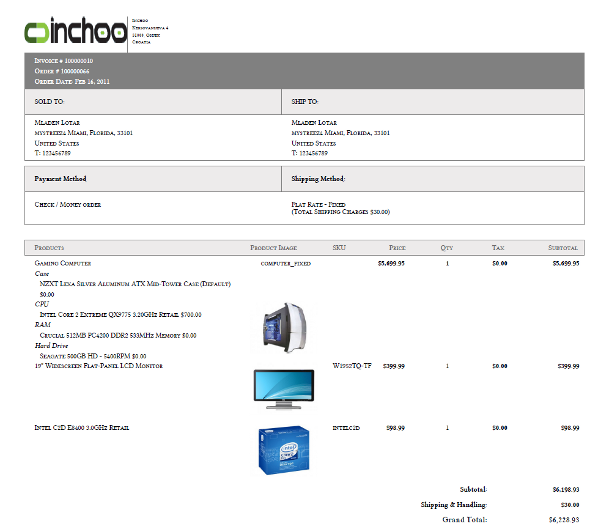 Now the invoice is getting generated but without the product images. I am not sure what variables to edit to ensure we get back the images to load? the SKU field and the images are shifted below. As written by Max above, It will work perfectly. Invoice with image is taking long time. Is there any solution? Hi , thanks for this solution , but on magento 1.7 the product image isnt visible on PDF . What can i do to correct this situation ? This will reduce the line spacing on the invoice so that it makes a little more sense and allows for more products to fit on a single invoice page. Does this/Should this work with magneto 1.7? My client is migrating from etsy, and I’d like to provide as familiar a workflow as I can. @tutela would you specify what do you mean? If I got your point, the image is the image associated for some of the ordered / invoiced products. You can control this from Magento admin panel -> edit product -> tab Images. But where is the image of the invoice ? For some reason, for products that have different attributes, the row height is messed up. Here is an example:http://i.imgur.com/ODWV0.jpg Any idea why this is? Did anyone get this to work? It’s a handy ext! Dear Mladen, I have the same issue as Meral, I can see the new column with “Product Image” but I dont see the pictures. Thank you very much for your great job!! Hi you code is not work for me. It creates a column of ‘Product Image’. But under that no images are showing. Right now i am working with my local machine.